Last night David and I went to the Tate Lecture Series at SMU and heard Waco native and Dallas resident, Shawn Achor, speak about happiness and the benefits of positive psychology. I kept wondering if this guy felt pressure to exhibit happiness all the time because there are some days when you just don’t feel like it. He has given a TED Talk, The Happy Secret to Better Work (which I’m sure we will make our kids watch) and written a few books and even more articles. Do you know what I’m positive about? You will like this coffee cake. It is moist and delicious and you might feel a little guilty eating this for breakfast (note that I said “little” – I didn’t say that it should stop you from making it or eating it). My friend, Tiffany, and her daughter brought us this treat when we moved into our house. The door hadn’t closed behind them before we dug into the still warm cake. You might ask “what am going to do with a blueberry muffin mix and no can of blueberries?” – make these raspberry muffins. 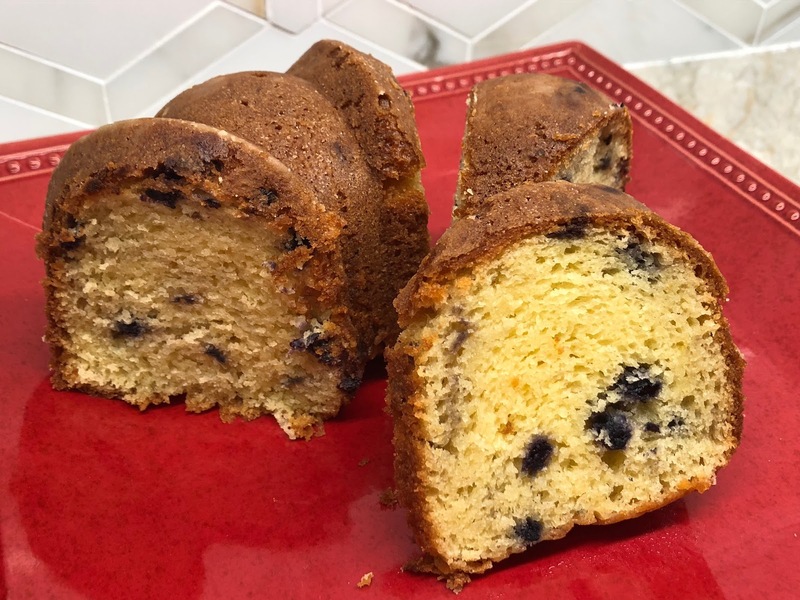 Blueberry coffee cake for a few days, then raspberry muffins - that will help everyone’s happiness and create positive transformation in your house. Beat and mix all ingredients, except for blueberries, with a mixer. Fold in blueberries and mix by hand. Grease and flour a bundt cake pan. Pour batter into prepared cake pan. Bake at 350 degrees for 45-55 minutes, until a tester comes out clean. Allow cake to cool in the pan before turning it over onto a plate.